Another corporate template for sites running Joomla 2.5 Professional studio IceTheme. The template has a stylish design, made in bright colors. In the template includes 6 preset styles, a large number of modular products and additional extensions studio for fast and functional operation. IT Corporate template has good optimization so your site will load in a fraction of a second. 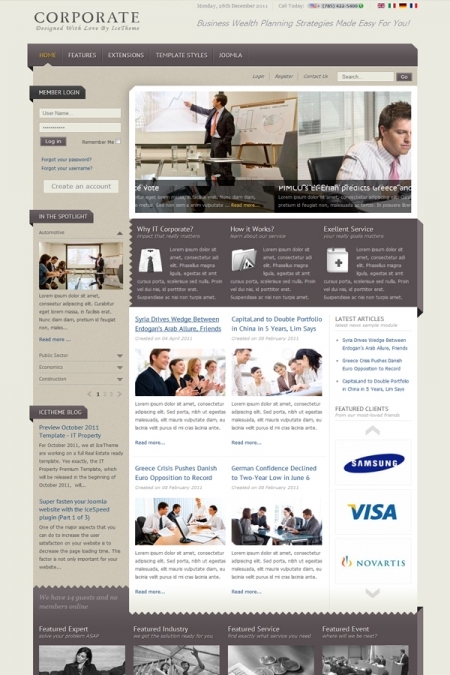 IT Corporate template is ideal for creating a corporate website or news of the project.